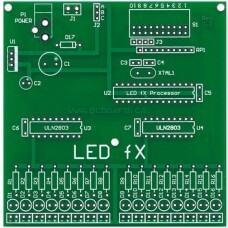 The LED fX is an extremely simple and effective design - specifically engineered to control 16 individual output ports. Each port has an LED attached to it, allowing for attractive effects to be achieved by running customized code on the built-in PIC processor. 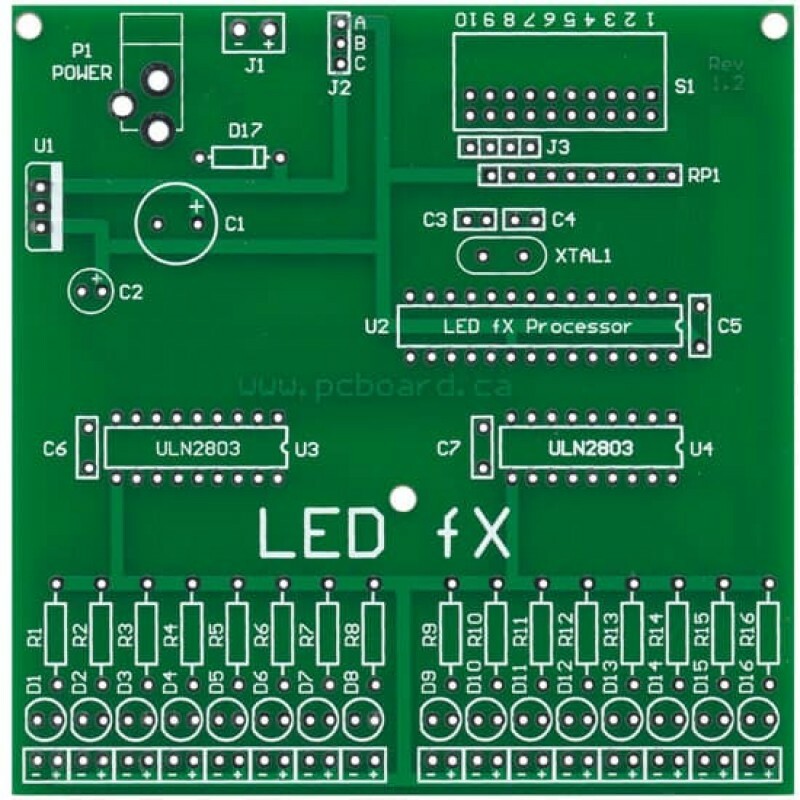 The unique design allows for the selection of various lights effects stored on the processor by selecting a routine from the onboard DIP switch. 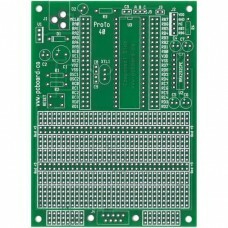 The processor will run the built-in routine selected and display the output on the LEDs. 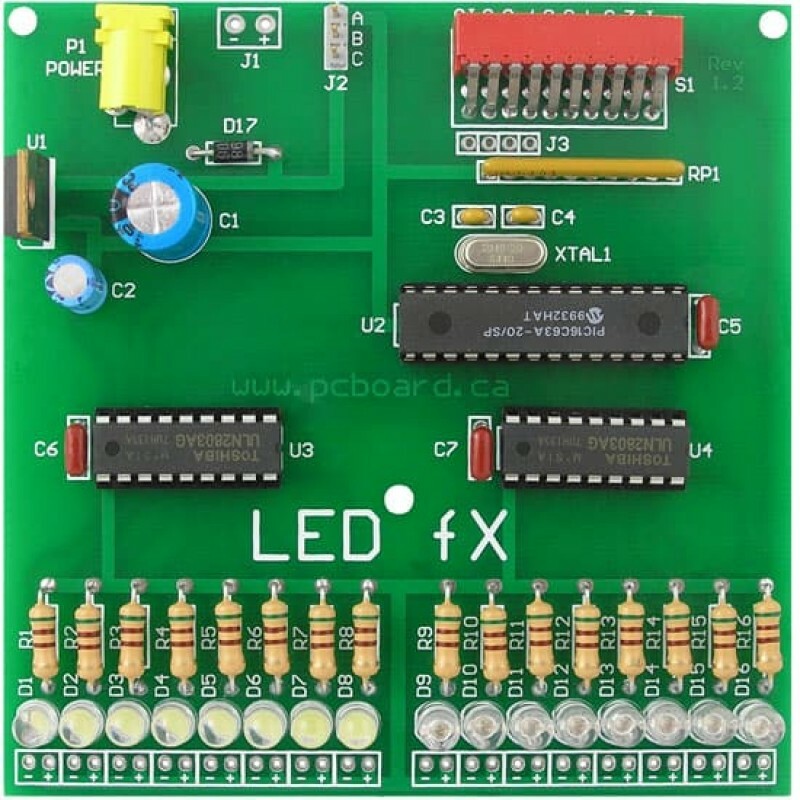 The outputs are buffered through a ULN2803 8-bit TTL-Input NPN Darlington sink driver – which allows for the control of high-current devices from a single processor pin. Each Darlington can handle a maximum of 500mA of continuous current at a maximum of 50V – making the ULN2803 well suited to provide an interface between the low logic levels of the processor to higher current/voltage devices such as relays, solenoids, motors, lamps, LEDs and other devices. 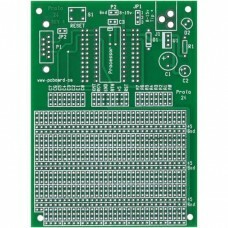 See all of the internally included animation effects included on the board when used with our effects chip. For more information and technical details on the LED fX, please visit our Support Site. Please note: A power adapter is not included with this item. 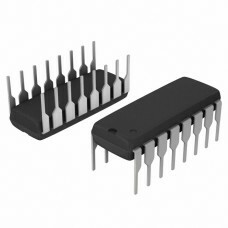 Please refer to our low power or high power DC Power Supplies if one is needed.